The index opened gap-up around 8351 and went up to touch the highs of the day around 8360 but saw profit booking to the low of 8320 but closed at 8338.30, a small gain of 14.15 points. The broader market was strong, with 840 advances to 694 declines. Range developing for the series is 8000-8500. Call option 8400-8800 added huge 11.54 lacs OI with short covering seen at 8300 and below strike prices. Put option 8500-8100 added huge 19.82 lacs OI with profit booking seen at 7900 and below strike prices. 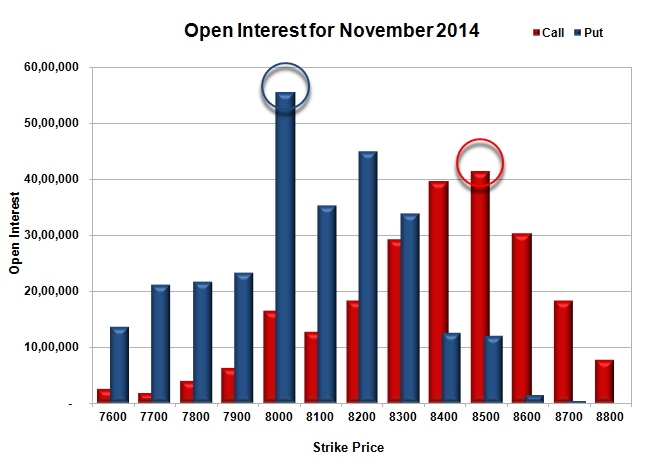 Nifty Open Interest is at 2,26,94,325 up by 12,76,750, with small increase in price, probably long build-up. 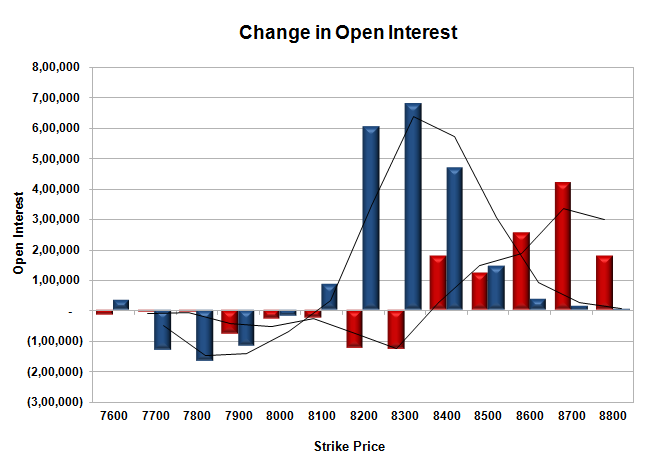 Bank Nifty Open Interest is at 21,98,725 up by 2,04,925, with increase in price, probably long build-up. FII’s bought 7.09 lacs Futures, which includes 52272 contracts long build-up and 23916 contracts short build-up, with increase in net OI by 76188 contracts (includes 100625 longs to 72269 shorts for the day) and the Average Price comes to 8371.24. FII’s Index future open contract as on date is 704927 Longs to 112960 Shorts, net long 591967 up by 28356 contracts. Initial support at 8300, with huge OI addition of 6.78 lacs and below that at 8200 with huge OI of 44.95 lacs. Initial resistance still at 8400, with OI of 39.69 lacs and above that at 8500 with OI of 41.46 lacs. 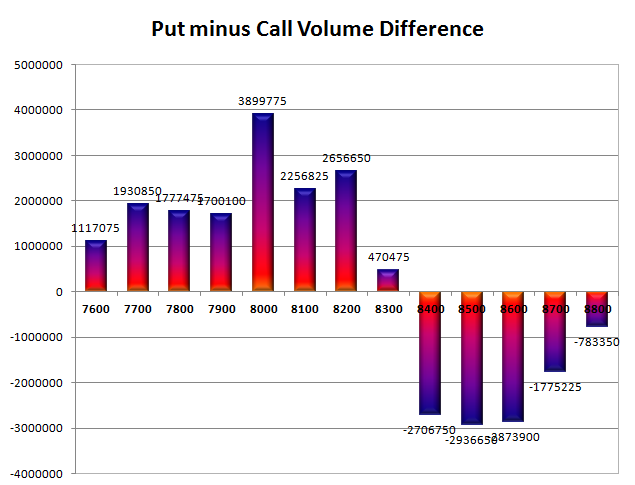 Day Range as per Option Table is 8278 - 8406 and as per VIX is 8278 - 8398 with 8342 as the Pivot.